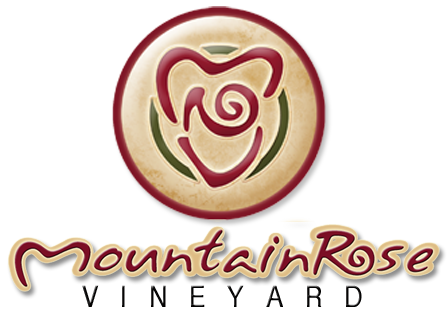 Why Join MountainRose Vineyards’ Wine Club? Whether you are a seasoned wine enthusiast or are new to world of wine, joining the wine club is a great idea. 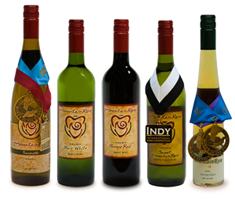 Our wine club is dedicated to providing great wines at great prices. You may also get wines that are sometimes unavailable to the general public. Our wine club provides flexibility in the types of wines you can choose because we recognize that your taste in wine varies. This is your club, your way. You can get sweet, dry or a mix, as well as red or white wines. As a MountainRose Wine Club member, you will receive the added value of a top quality product in the convenience of your home; all at significant cost savings. Shipping will average around $20 per shipment, or join us during Wine Club Week, held quarterly at the winery, and enjoy additional specials and savings! 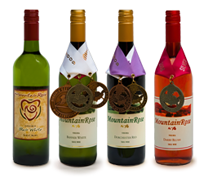 Which MountainRose Wine Taste is for You? Traditionalists are those who like dry red and white wines with slight preference for red. If you find that you prefer more old world style wines and varietals, plus love wines aged in oak barrels that are typically not sweet, this is your taste! Wines: Splashdam, Riesling, Cabernet Franc, Jawbone Red. Sweet and semi-sweet wines for those who know they like it sweet! 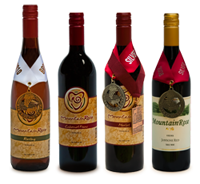 Sweethearts enjoy the ever popular Sweet MountainRose and ultimate award-winning dessert wine, Autumn Gold. They are also sometimes in the mood for the lighter semi-sweets, Traminette & Blair or the best-selling sweet Pardee Red. Our classic wines make up our “Mines to Wines” Series and include a nice mix of white, red, and blush. These wines are unique to our vineyard and are named for local historic seams of coal. If you like a little surprise and variety, and have a versatile taste, this is for you. Wines: Splashdam, Blair, Darby, Dorchester, Jawbone, Pardee. Join the Club, Taste the Benefits! Special Events are held at the winery for local club members during the year. Enjoy wine and cheese specials, new recipes, pre-sales and secret tastings. Call ahead to have your wines bagged and ready to go when you arrive! Enjoy additional savings each month on Wine Club Wednesdays, first Wednesday of the month! Private Wine Tasting & Tour for you and up to 8 guests, by appointment! Joining the club is simple. Purchase a case of MRV wines to join, with the commitment to purchase another case of wine over 12 months. Club benefits & discounts begin when your first case is purchased. MRV Wine Club “Wine Weeks” will be held quarterly to encourage members to purchase at least 3 bottles of wine at each visit, thus fulfilling the club commitment. You may purchase your wines at any time, it's your club, your way. Memberships are renewed annually upon purchase of your first case at retail cost. Members will be asked to fulfill their wine club purchases within one year of that first case purchase date. Members who meet a purchase of 3 cases within the year will be automatically enrolled as a member for the following year! No retail renewal purchase needed! MRV Wine Club is not accepting new members at this time, please call the vineyard to sign up on our waiting list!